The Chief: Jay-Z to cover Lawrence Welk's greatest hits? John Singleton to remake "Driving Miss Daisy"? Terry McMillan - "How Stella got her White Man Back"? 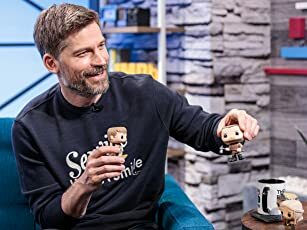 Double damn it! Black people all over the world are losin' their damn minds! Q: Why does the trivia for this movie say White She devil refers to Undercover Brother as "cute in a Theo Huxtable kind of way? "Mess with the Fro...you got to go!" I first saw "Undercover Brother" on cable a few years ago and since then it's become one of my favorite comedies of recent years. 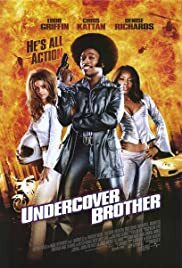 Though it's basically a "blaxploited" version of the "Austin Powers" concept, "Undercover Brother" is funny enough to be enjoyable on its own merits. As the film opens, we are filled in on the ongoing battle between the black community and a super secret organization known as "The Man," who works tirelessly to negate African-American influence on the world at large. Fortunately, the black community has its own underground group, known as "The B.R.O.T.H.E.R.H.O.O.D." created to undermine The Man's plans to "Whitewash" the world. Eddie Griffin stars as Undercover Brother, a funky '70s throwback hero with a huge Afro and platform shoes, who drives around in a pimped-out Caddy performing acts of Kung-Fu derring-do to aid the African American cause. Normally a lone wolf, he is drafted into the B.R.O.T.H.E.R.H.O.O.D. when a black war hero (Billy Dee Williams)'s plans to run for President are derailed by a mind control drug designed by The Man. Now rather than run for the White House, he runs a nationwide Fried Chicken chain instead. Ably assisted by fellow B.R.O.T.H.E.R.H.O.O.D. agents Sistah Girl, Conspiracy Brother, Smart Brother, and "Lance" (Neil Patrick Harris in a hilarious turn as the lone white member of the group -- he got his internship through -- what else? -- affirmative action), Undercover Brother infiltrates The Man's organization to destroy the plot, though he nearly becomes a victim of their most potent weapon, the gorgeous Denise Richards, aka "White She-Devil" (whom "The Man" calls "Black Man's Kryptonite.") along the way. 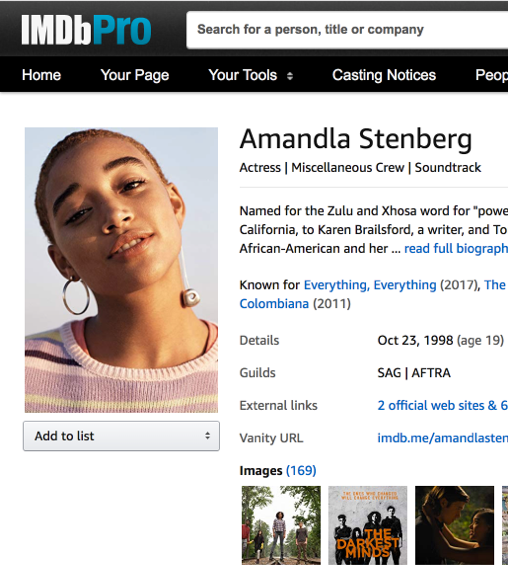 I have seen a lot of discussion on IMDb about this film being "racist" towards whites, but to be honest, I found "Undercover Brother" to be an equal opportunity offender, with no stereotype about blacks OR whites going un-skewered. The cast is excellent, especially Dave Chapelle as the eternally paranoid agent "Conspiracy Brother," and the always welcome Chi McBride as the long-suffering "Chief" of The B.R.O.T.H.E.R.H.O.O.D. Denise Richards looks amazing in a white leather catsuit (her catfight scene with "Sistah Girl" is worth the price of the DVD all by itself), and oddly enough, even though I usually find Eddie Griffin and Chris Kattan (who plays The Man's flunky, "Mr. Feather") quite irritating in other films, their shtick totally works in "Undercover Brother." Fast, funny, and an utterly silly good time, "Undercover Brother" is -- in the words of its hero -- "Solid."